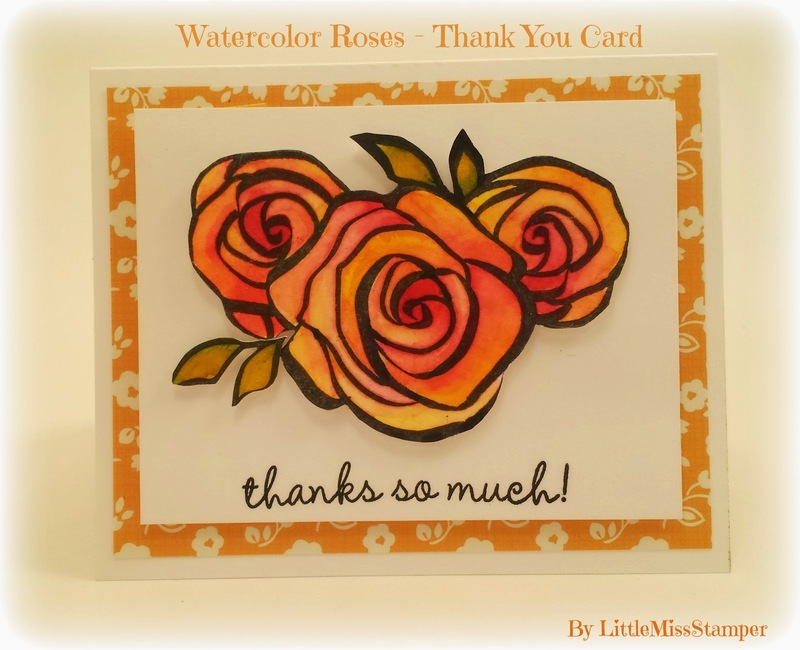 I created this Thank You Card using....believe it or not....some rose stamps I found at my dollar store for $2.00. It pays to keep your eyes peeled at the dollar store these days =) This is one of my favorite stamp sets for watercoloring. I used my regular Strathmore watercolor paper and Peerless Watercolors to color the image. Paper is Echo Park - Country Drive and the Sentiment is from my 1 year anniversary set from the Stamps Of Life club (link of the sidebar). The set is not for sale but Simon Says Stamp makes some very pretty Thank You stamp sets.